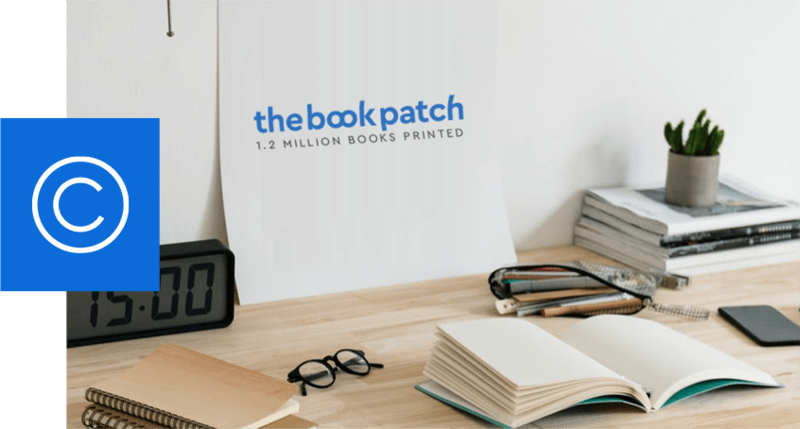 TheBookPatch is a book printing company that provides Print-On-Demand tools for authors and book publishers. We are a high quality book printing company with fast turnaround and, extremely competitive pricing. Unlike most book publishing companies, there are no minimums to our print runs and no book set up fees. An author or a publisher can order a single copy or as many as needed, eliminating costly inventory. With no setup fees TheBookPatch allows for updating and corrections when needed and the easy to use tooling (text replacement, cover updates etc.) make the task fast and effortless. 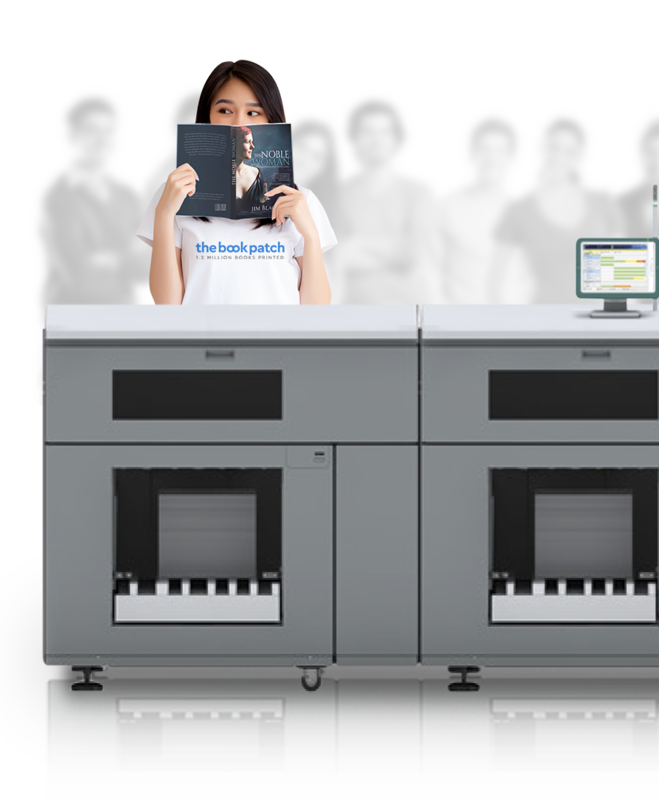 Having a full service bookstore with free downloadable BUY NOW buttons and a built in drop ship option, makes TheBookPatch an easy to use distribution tool that saves on shipping and provides an instant free retail capability that other (POD) book publishing companies don’t offer. From word one on page one to a book sold in our bookstore, TheBookPatch is a one-stop writing Print On Demand and self-publishing Web site for authors of all genres. Did we mention it’s completely free. Once a book is complete, authors can easily print copies – a single copy or as many as they want – with a click of a mouse. Whether the book was written on TheBookPatch writing platform or if not. The book can be uploaded as a PDF and printed just as easily. To complete the books visual appeal, TheBookPatch provides a cover setup page where the author can chose to upload a complete cover or create one using the free online tools. Since the TheBookPatch has a “no-rejection” policy, all authors can rest assured that the work they produce will result in published book. In addition to hard copies, authors will be able to publish their works in eBook, digital book and audio book formats at TheBookPatch. Privacy and copyright issues are of extreme importance to authors and TheBookPatch has taken comprehensive measures to ensure that both are fully addressed. At TheBookPatch, authors have the ability to keep projects completely private so that only they can see them or, they can open their stories to the world as they are writing them or after they complete. When starting a book writing project, the author has the option to choose if they are the sole copyright owner or they can allow the copyright to be shared with the co-authors . Under no circumstances does TheBookPatch retain any portion of copyright at any time. Since TheBookPatch’s tools and platform are so unique, it lends itself to applications and uses other than traditional authoring and publishing. For example, educators can use TheBookPatch for class projects and student collaboration. Work can be housed in a single place and multiple students can contribute to and edit it. Students of all ages can use TheBookPatch to coordinate group writing projects or creative writing assignments. Additionally, book writing for non-profits can be organized on TheBookPatch and then sold for fundraising purposes. Business associates can collaborate on a document no matter where they are in the world. The possibilities are endless with a writing and publishing platform that can be accessed anywhere in the world with an Internet connection. Copyright © 2009 - . Wilshire Press Inc.